For first time since disengagement school children visit areas evacuated in northern Samaria. 100 school children came this week to the town of Sa-Nur in Samaria as part of a memorial ceremony for Etzel fighter Baruch Mizrahi, a Muslim who converted to Judaism and fought and was killed in the War of Independence. The residents of Sa-Nur were expelled from their homes during the 2005 disengagement. The last battle in which Mizrahi participated took place near Sa-Nur. Mizrahi was killed there and his body was found by his friends after the Six Day War when the area was liberated from Jordanian rule. The residents of Sa-Nur heard about his story and decided to perpetuate his memory as he didn't have any family. Three years ago the Samaria regional council took it upon theirselves to commemorate Mizrahi. This year school children from the region came back to Sa-Nur for the first time since the expulsion. Shomron regional council head Yossi Dagan said that "this is a great and moving piece of news, especially as one who was evicted from Sa-Nur. We rejoiced to see the pupils touring and being exposed for the first time to Baruch Mizrahi and to Sa-Nur. "Of course we hope to come home and I hope this is the first step on the way. 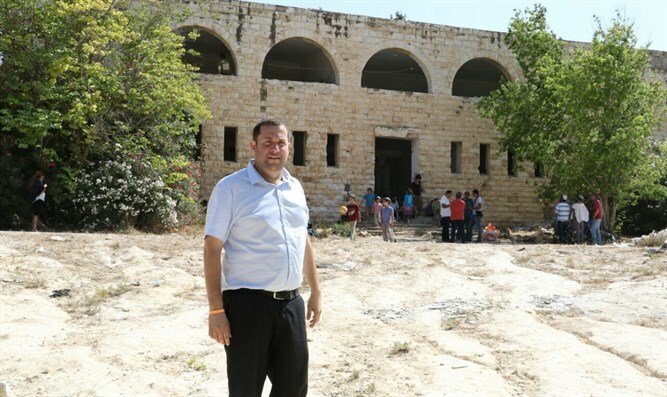 The fact that pupils can come here proves that the area is in total Israeli control and proves that we were expelled from here cruelly and for no reason. We expect the government to rectify this injustice.